The Makeup Box: MAC “Vera” Collection Haul: My Top Picks and Swatches! MAC “Vera” Collection Haul: My Top Picks and Swatches! I had some gift vouchers (yay) so what better than to blow them on the MAC "Vera" 2012 collection? I'd been waiting for this since I saw the images on MAC's site a few weeks ago, but didn't know it would hit our shelves this soon. So when I walked past a MAC counter this evening on my way to a movie, my eyes lighted on a small colorful display, and I might have shrieked a little before I made a beeline right for it. All items swatched on bare skin without a base. Crushed Metallic Pigment Stack "Butterfly Party"
Crushed Metallic Pigment Stack "Strawberry Patch"
I thought the 2 pearlmatte face powders were blushes until I swatched one of them on and got the surprise of my life. 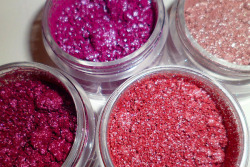 These are like a cross between beauty powders and Mineralize Skinfinishes, with an interesting texture that's matte but luminous at the same time. 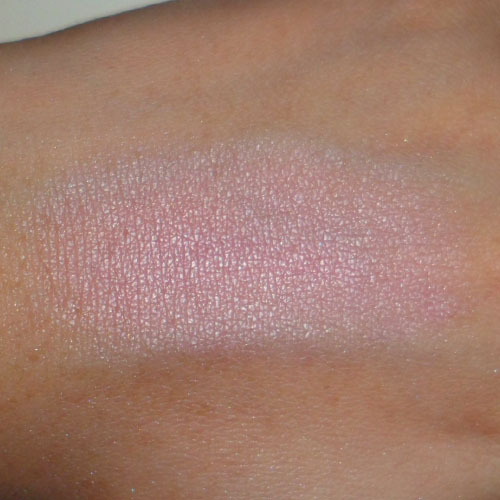 It's a little like my beloved MAC Mineralize Skinfinish in Porcelain Pink, which gives a soft pink glow but is not outright shiny like other MAC MSFs, except this is better if you are afraid of looking oily. I did not get any of the lip glasses or liners from the Vera collection. 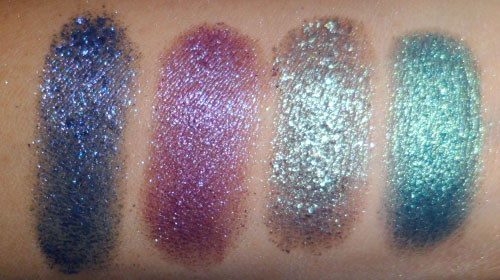 It's not that they aren't nice; in fact the glitter liners are beautiful. But I don't find the glitters in pencils obviously enough to make much of a difference from regular metallic pencils, so I didn't see any point buying them at MAC prices. 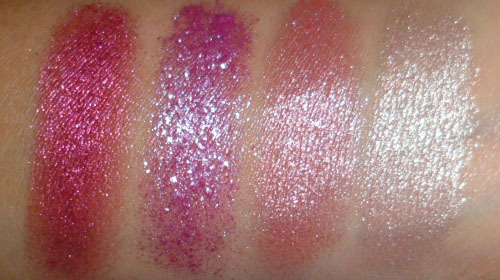 As for the glosses, well, I'm not a lip gloss girl so I gave all of them a miss. You'll have to check them out yourselves at the counter and judge for yourself if you like them! 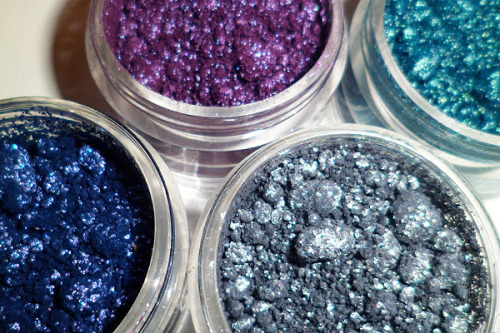 the pigments look so pretty! Yes they're really strong and pretty! The sparkly ones (Strawberry Patch mainly) can be a little harder to work with though, as the glitter is quite chunky, so you don't get a smooth, even layer. 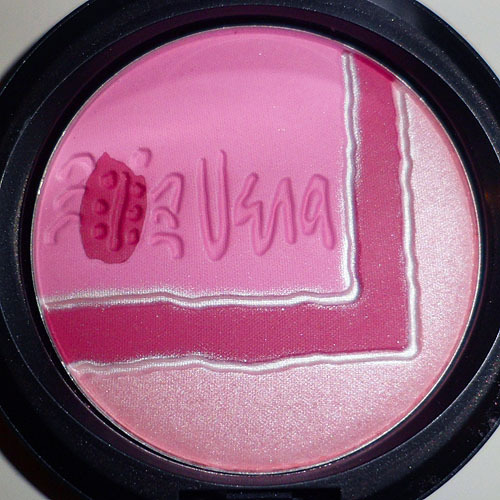 But the other shades are really nice, and even better when wet!